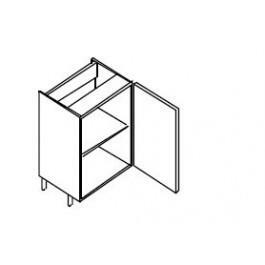 Hi-Line single door Base Cabinet 720mm high. Requires 1 door 715mm high. Includes BLUM Clip on Hinges and adjustable feet.